Do you represent a Kansas State Government Agency and wondering how you should archive all your web and social media content? Are you trying to determine what you need to do both from a legal and a technical point of view? Here’s a guide to the different Laws and processes you should follow. 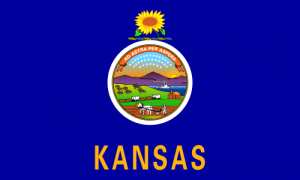 What Laws govern Records Management in the State of Kansas? Do Kansas State Records Laws include Website and Social Media content? Public records are defined as “any recorded information, regardless of form or characteristics, which is made, maintained or kept by or is in the possession of any public agency. . . .” K.S.A. 2008 Supp. 45-217(g). The scope of KORA extends beyond paper, given that form or characteristics are not considered, thus include electronic and digital records. Case law has found that content placed on the internet deemed a public record must be treated suitably subject to these standards. (State v. Stevens, 26 Kan.App.2d 606 (1999)). Computer data is also legally considered a “record.” (State ex rel. Stephan v. Harder, 230 Kan. 573, 582 (1982)). Subject to KORA, a public agency is the state or any political or taxing subdivision, or any office, officer, or agency thereof, or any other entity, receiving or expending and supported in whole or part by public funds. Essentially, KORA extends to an office or agency that is connected with state or local government. KORA requires that public records be reproduced in the form that the public agency possesses them. If the public agency wishes to provide the extra service of converting a record into another format, it may do so. 3. It affects confidential information. Electronic and computerized information can meet the definition of a public record and so must be provided in the form requested if the public agency has the capability of producing it in that form. How can we transfer website archives made with PageFreezer to the Kansas State Digital Archives? PageFreezer exports all data on request in the original file format including the required metadata. This data set can be transferred by FTP or by other means to the Kansas State or Agency Digital Archives. If you have questions about any of this or about how to actually implement effective Online Public Record management start a free trial, schedule a demo or contact us directly.